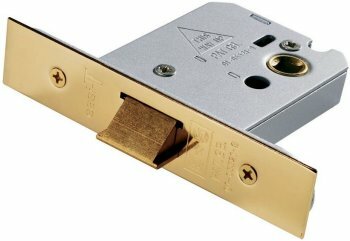 Architectural quality flat latch. Available in 2 ½ inch (67mm), 3 inch (79mm) & 4 inch (104mm) sizes, in brass, satin chrome plate finish. 2 ½ inch latch has 44mm backset from door to centre spindle.